The above definitions are limited in that they do not take into account the time period over which the drinking occurs or the body mass of the person drinking. 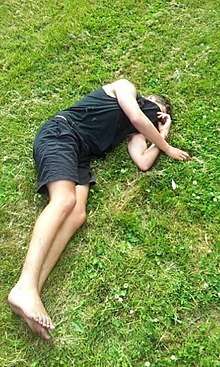 A person could be defined as a binge drinker even if he or she never becomes intoxicated. 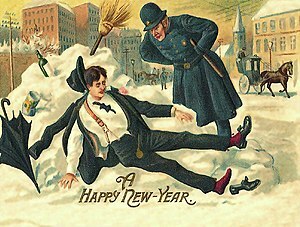 The term, however, has succeeded in drawing public awareness to the problem of excess drinking. [ citation needed]. Adolescents who regularly participated in binge drinking for several years show a smaller hippocampus brain region, in particular those who began drinking in early adolescence. Heavy binge drinking is associated with neurocognitive deficits of frontal lobe processing and impaired working memory as well as delayed auditory and verbal memory deficits. Animal studies suggest that the neurodegenerative effects of alcohol abuse during adolescence can be permanent. Research in humans, which utilised sophisticated brain scanning technology suggests that in adolescent teenagers, drinking more than four or five drinks once or twice a month results in subtle damage to the teenagers developing brain tissue, in particular the white matter. However, this research is primarily cross-sectional and done with fairly small sample sizes, making causality less certain. Age and genetic factors influence the risk of developing alcohol-related neurotoxicity. Adolescence, especially early adolescence (i.e. before age 15), is a critical and delicate developmental stage for specialised neuronal and synaptic systems mature. This critical developmental stage is where lifelong adult traits e.g., talents, reasoning and complex skills mature; however alcohol and in particular binge drinking may disrupt and interfere with this developmental process. Adolescence is also a period of development characterised by a high level of novel seeking, thrill seeking and risk taking behaviour and thus alcohol and other drug experimentation and abuse is common. An adolescent rat study found that a short exposure to high levels of alcohol resulted in long-lasting changes to functional brain activity with corresponding abnormalities in EEG brain waves that persisted into adulthood, including persisting disturbances in sleep EEG with a reduction in slow wave sleep. These EEG findings are similar to premature aging. According to one review of the literature, if the developmental stage of adolescence is similar to the developmental stage of the fetus with regard to sensitivity to the neurotoxic effects of alcohol, and if long-lasting or permanent damage to the brain occurs similar to what animal studies suggest, then this represents a major public health issue due to the high levels of alcohol use by adolescents. Indeed, alcohol can affect the remodeling and functional changes in synaptic plasticity and neuronal connectivity in different brain regions that occurs during adolescence (see this related article). According to the NIAAA definition of "heavy drinkers", men may be at risk for alcohol-related problems if their alcohol consumption exceeds 14 standard drinks per week or four drinks per day, and women may be at risk if they have more than seven standard drinks per week or three drinks per day. Despite this risk, a 2014 report in the National Survey on Drug Use and Health found that only 10% of either "heavy drinkers" or "binge drinkers" also met the criteria for alcohol dependence, while only 1.3% of non-binge drinkers met this criteria. An inference drawn in this study is that evidence-based policy strategies and clinical preventive services may effectively reduce binge drinking without requiring addiction treatment in most cases. Individuals of African descent have a lower level of binge drinking followed by those of Asian descent. In the case of Asians their low level of binge drinking may be due to the presence of the aldehyde dehydrogenase gene (ALDH2, Chromosome 12) in many (but by no means the vast majority) that results in poor metabolism of alcohol, which leads to severe adverse effects such as facial flushing. Men are more likely to binge drink (up to 81% of alcohol binges are done by men) than women and men are also more likely to develop alcohol dependence than women. People who are homozygous for the ALDH2 gene are less likely to binge-drink due to severe adverse effects that occur even with moderate amounts of alcohol consumption. ^ a b Mathurin, P.; Deltenre, P. (May 2009). "Effect of binge drinking on the liver: an alarming public health issue?". Gut. 58 (5): 613–7. doi: 10.1136/gut.2007.145573. PMID 19174416. ^ a b Standridge, JB. ; Zylstra, RG. ; Adams, SM. (Jul 2004). "Alcohol consumption: an overview of benefits and risks". South Med J. 97 (7): 664–72. doi: 10.1097/00007611-200407000-00012. PMID 15301124. ^ Kuntsche, E.; Rehm, J.; Gmel, G. (Jul 2004). "Characteristics of binge drinkers in Europe". Soc Sci Med. 59 (1): 113–27. doi: 10.1016/j.socscimed.2003.10.009. PMID 15087148. ^ Clark, DB. ; Bukstein, O.; Cornelius, J. (2002). "Alcohol use disorders in adolescents: epidemiology, diagnosis, psychosocial interventions, and pharmacological treatment". Paediatr Drugs. 4 (8): 493–502. doi: 10.2165/00128072-200204080-00002. PMID 12126453. ^ a b Floyd, RL. ; O'Connor, MJ. ; Sokol, RJ. ; Bertrand, J.; Cordero, JF. (Nov 2005). "Recognition and prevention of fetal alcohol syndrome". Obstet Gynecol. 106 (5 Pt 1): 1059–64. CiteSeerX 10.1.1.537.7292. doi: 10.1097/01.AOG.0000181822.91205.6f. PMID 16260526. ^ Foxcroft, DR; Moreira, MT; Almeida Santimano, NM; Smith, LA (29 December 2015). "Social norms information for alcohol misuse in university and college students". The Cochrane Database of Systematic Reviews. 1: CD006748. doi: 10.1002/14651858.CD006748.pub4. PMID 25622306. ^ Dejong W (December 2001). "Finding common ground for effective campus-based prevention". Psychol Addict Behav. 15 (4): 292–6. doi: 10.1037/0893-164x.15.4.292. PMID 11767259. ^ a b Stephens, DN. ; Duka, T. (Oct 2008). "Review. Cognitive and emotional consequences of binge drinking: role of amygdala and prefrontal cortex". Philos Trans R Soc Lond B Biol Sci. 363 (1507): 3169–79. doi: 10.1098/rstb.2008.0097. PMC 2607328. PMID 18640918. ^ a b van Gemert, Caroline (2011). "The Australian national binge drinking campaign: campaign recognition among young people at a music festival who report risky drinking". BMC Public Health. 11: 482. doi: 10.1186/1471-2458-11-482. PMC 3148999. PMID 21689457. Archived from the original on 2015-04-14. ^ Kubacki, Krzysztof (2011). "College binge drinking: a new approach". Journal of Consumer Marketing. 28 (3): 225–233. doi: 10.1108/07363761111127644. ^ O'Connell, H; Lawlor, BA (October–December 2005). "Recent alcohol intake and suicidality--a neuropsychological perspective". Irish Journal of Medical Science. 174 (4): 51–4. doi: 10.1007/BF03168983. PMID 16445162. ^ Dawson, Deborah; Li, Ting-Kai; Grant, Bridget F. (May 1, 2008). "A Prospective Study of Risk Drinking: At risk for what?". Drug and Alcohol Dependence. 95 (1–2): 62–72. doi: 10.1016/j.drugalcdep.2007.12.007. PMC 2366117. PMID 18243584. ^ Gill, Jan S (March–April 2002). "Reported levels of alcohol consumption and binge drinking within the UK undergraduate student population over the last 25 years". Alcohol and Alcoholism. 37 (2): 109–20. doi: 10.1093/alcalc/37.2.109. PMID 11912065. Archived from the original on 2010-06-09. ^ Dooldeniya, MD; Khafagy, R; Mashaly, H; Browning, AJ; Sundaram, SK; Biyani, CS (Nov 2007). "Lower abdominal pain in women after binge drinking". British Medical Journal (Clinical Research Ed.). 335 (7627): 992–3. doi: 10.1136/bmj.39247.454005.BE. PMC 2072017. PMID 17991983. Archived from the original on 2009-07-26. ^ a b c d e f g h i Courtney, KE. ; Polich, J. (Jan 2009). "Binge drinking in young adults: Data, definitions, and determinants". Psychol Bull. 135 (1): 142–56. doi: 10.1037/a0014414. PMC 2748736. PMID 19210057. ^ Enoch, MA. (Dec 2006). "Genetic and environmental influences on the development of alcoholism: resilience vs. risk". Ann N Y Acad Sci. 1094 (1): 193–201. Bibcode: 2006NYASA1094..193E. doi: 10.1196/annals.1376.019. PMID 17347351. ^ Miller, B. E.; Miller, M. N.; Verhegge, R.; Linville, H. H.; Pumariega, A. J. (2002). "Alcohol misuse among college athletes: self-medication for psychiatric symptoms?". Journal of Drug Education. 32 (1): 41–52. doi: 10.2190/JDFM-AVAK-G9FV-0MYY. ISSN 0047-2379. PMID 12096556. ^ Geisner, Irene M.; Varvil-Weld, Lindsey; Mittmann, Angela J.; Mallett, Kimberly; Turrisi, Rob (March 2015). "Brief web-based intervention for college students with comorbid risky alcohol use and depressed mood: does it work and for whom?". Addictive Behaviors. 42: 36–43. doi: 10.1016/j.addbeh.2014.10.030. ISSN 1873-6327. PMC 4272863. PMID 25462652. ^ Knight, John R; Wechsler, Henry; Kuo, Meichun; Seibring, Mark; Weitzman, Elissa R; Schuckit, Marc A (2015-01-04). "Alcohol abuse and dependence among U.S. college students". Journal of Studies on Alcohol. 63 (3): 263–270. doi: 10.15288/jsa.2002.63.263. ^ Schwandt, M.L. ; S.G. Lindell; S. Chen; J.D. Higley; S.J. Suomi; M. Heilig; C.S. Barr (Feb 2010). "Alcohol response and consumption in adolescent rhesus macaques". Alcohol. 44 (1): 67–80. doi: 10.1016/j.alcohol.2009.09.034. PMC 2818103. PMID 20113875. ^ McCarty C.; Ebel B.; Garrison M.; DiGiuseppe D.; Christakis D.; Rivara F. (2004). "Continuity of Binge and Harmful Drinking From Late Adolescence to Early Adulthood". Pediatrics. 114 (3): 714–719. doi: 10.1542/peds.2003-0864-L. PMID 15342844. ^ Mathurin P.; Deltenre P. (2009). "Effect of binge drinking on the liver: an alarming public health issue?". Gut. 58 (1): 613–617. doi: 10.1136/gut.2007.145573. PMID 19174416. ^ a b c d e Ward, RJ. ; Lallemand, F.; de Witte, P. (March–April 2009). "Biochemical and neurotransmitter changes implicated in alcohol-induced brain damage in chronic or 'binge drinking' alcohol abuse". Alcohol Alcohol. 44 (2): 128–35. doi: 10.1093/alcalc/agn100. PMID 19155229. Archived from the original on 2014-09-24. ^ Crews, FT.; Boettiger, CA. (Sep 2009). "Impulsivity, frontal lobes and risk for addiction". Pharmacol Biochem Behav. 93 (3): 237–47. doi: 10.1016/j.pbb.2009.04.018. PMC 2730661. PMID 19410598. ^ Bracken, Michael B. (2009). "Why animal studies are often poor predictors of human reactions to exposure". Journal of the Royal Society of Medicine. 102 (3): 120–122. doi: 10.1258/jrsm.2008.08k033. PMC 2746847. PMID 19297654. ^ Williams, JH. ; Ross, L. (Jun 2007). "Consequences of prenatal toxin exposure for mental health in children and adolescents: a systematic review". Eur Child Adolesc Psychiatry. 16 (4): 243–53. doi: 10.1007/s00787-006-0596-6. PMID 17200791. ^ Wood, CE. (Sep 2007). "Maternal binge drinking and fetal neuronal damage". Exp Physiol. 92 (5): 821. doi: 10.1113/expphysiol.2007.038448. PMID 17827257. ^ Altura, BM. ; Altura, BT. (Oct 1999). "Association of alcohol in brain injury, headaches, and stroke with brain-tissue and serum levels of ionized magnesium: a review of recent findings and mechanisms of action". Alcohol. 19 (2): 119–30. doi: 10.1016/S0741-8329(99)00025-7. PMID 10548155. ^ Britton, A.; McKee, M. (May 2000). "The relation between alcohol and cardiovascular disease in Eastern Europe: explaining the paradox". J Epidemiol Community Health. 54 (5): 328–32. doi: 10.1136/jech.54.5.328. PMC 1731674. PMID 10814651. ^ Puddey, IB. ; Rakic, V.; Dimmitt, SB. ; Beilin, LJ. (May 1999). "Influence of pattern of drinking on cardiovascular disease and cardiovascular risk factors--a review". Addiction. 94 (5): 649–63. doi: 10.1046/j.1360-0443.1999.9456493.x. PMID 10563030. ^ Biyik, I.; Ergene, O. (January–February 2007). "Alcohol and acute myocardial infarction". J Int Med Res. 35 (1): 46–51. doi: 10.1177/147323000703500104. PMID 17408054. ^ O'Keefe, JH. ; Bybee, KA. ; Lavie, CJ. (Sep 2007). "Alcohol and cardiovascular health: the razor-sharp double-edged sword". J Am Coll Cardiol. 50 (11): 1009–14. doi: 10.1016/j.jacc.2007.04.089. PMID 17825708. ^ Esser, Melissa (June 2012). "Binge Drinking Intensity : A Comparison of Two Measures". American Journal of Preventive Medicine. 42 (6): 625–629. doi: 10.1016/j.amepre.2012.03.001. PMC 4536810. PMID 22608381. Retrieved 16 April 2015. ^ Hingson, Ralph W; Zha, Wenxing; Weitzman, Elissa R (2015-01-09). "Magnitude of and Trends in Alcohol-Related Mortality and Morbidity Among U.S. College Students Ages 18-24, 1998-2005". Journal of Studies on Alcohol and Drugs, Supplement (s16): 12–20. doi: 10.15288/jsads.2009.s16.12. PMC 2701090. PMID 19538908. ^ a b Ward RJ, Lallemand F, de Witte P (2009). "Biochemical and neurotransmitter changes implicated in alcohol-induced brain damage in chronic or 'binge drinking' alcohol abuse". Alcohol Alcohol. 44 (2): 128–35. doi: 10.1093/alcalc/agn100. PMID 19155229. ^ Crews FT, Boettiger CA (September 2009). "Impulsivity, frontal lobes and risk for addiction". Pharmacol. Biochem. Behav. 93 (3): 237–47. doi: 10.1016/j.pbb.2009.04.018. PMC 2730661. PMID 19410598. ^ Goslawski M.; Piano M.; Bian J.T. ; Church E.; Szczurek M.; Phillips S. (2013). "Binge Drinking Impairs Vascular Function in Young Adults". Journal of the American College of Cardiology. 62 (3): 201–207. doi: 10.1016/j.jacc.2013.03.049. PMC 3727916. PMID 23623907. ^ a b Bowden, SC. ; Crews, FT.; Bates, ME. ; Fals-Stewart, W.; Ambrose, ML. (Feb 2001). "Neurotoxicity and neurocognitive impairments with alcohol and drug-use disorders: potential roles in addiction and recovery". Alcohol Clin Exp Res. 25 (2): 317–21. doi: 10.1111/j.1530-0277.2001.tb02215.x. PMID 11236849. ^ Crews, F.; He, J.; Hodge, C. (Feb 2007). "Adolescent cortical development: a critical period of vulnerability for addiction". Pharmacol Biochem Behav. 86 (2): 189–99. doi: 10.1016/j.pbb.2006.12.001. PMID 17222895. ^ Ehlers, CL. ; Criado, JR. (Feb 2010). "Adolescent ethanol exposure: does it produce long-lasting electrophysiological effects?". Alcohol. 44 (1): 27–37. doi: 10.1016/j.alcohol.2009.09.033. PMC 2818286. PMID 20113872. ^ Babor, TF. ; Aguirre-Molina, M.; Marlatt, GA.; Clayton, R. (1999). "Managing alcohol problems and risky drinking". Am J Health Promot. 14 (2): 98–103. doi: 10.4278/0890-1171-14.2.98. PMID 10724728. ^ Carpenter, C.; Dobkin, C. (Jan 2009). "The Effect of Alcohol Consumption on Mortality: Regression Discontinuity Evidence from the Minimum Drinking Age". American Economic Journal: Applied Economics. 1 (1): 164–82. doi: 10.1257/app.1.1.164. PMC 2846371. PMID 20351794. ^ Khadjesari, Z; Murray, E; Hewitt, C; Hartley, S; Godfrey, C (February 2011). "Can stand-alone computer-based interventions reduce alcohol consumption? A systematic review". Addiction. 106 (2): 267–82. doi: 10.1111/j.1360-0443.2010.03214.x. PMID 21083832. ^ Martin Brett A. S.; Lee Christina K.C. ; Weeks Clinton; Kaya Maria (2013). "How to stop binge drinking and speeding motorists: Effects of relational-interdependent self-construal and self-referencing on attitudes toward social marketing" (PDF). Journal of Consumer Behaviour. 12: 81–90. doi: 10.1002/cb.1417. Archived from the original (PDF) on 2015-04-27. Retrieved 2013-04-02. ^ Webb, G.; Shakeshaft, A.; Sanson-Fisher, R.; Havard, A. (Mar 2009). "A systematic review of work-place interventions for alcohol-related problems". Addiction. 104 (3): 365–77. doi: 10.1111/j.1360-0443.2008.02472.x. PMID 19207344. ^ Michaud, PA. (Feb 2007). "[Alcohol misuse in adolescents - a challenge for general practitioners]". Ther Umsch. 64 (2): 121–6. doi: 10.1024/0040-5930.64.2.121. PMID 17245680. ^ Esser, Marissa B.; Hedden, Sarra L.; Kanny, Dafna; Brewer, Robert D.; Gfroerer, Joseph C.; Naimi, Timothy S. (20 November 2014). "Prevalence of Alcohol Dependence Among US Adult Drinkers, 2009–2011". Preventing Chronic Disease. 11: E206. doi: 10.5888/pcd11.140329. PMC 4241371. PMID 25412029. ^ López-Caneda Eduardo; et al. (2013). "Effects of a persistent pinge drinking pattern of alcohol consumption in young people: a follow-up study using event-related potentials" (PDF). Alcohol and Alcoholism. 48 (4): 464–471. doi: 10.1093/alcalc/agt046. PMID 23695975. Archived from the original (PDF) on 2014-02-01. ^ Howat, Peter (2013). "Booze barns: fuelling hazardous drinking in Australia?". Health Promotion Journal of Australia. 24 (2): 85–6. doi: 10.1071/he13068. PMID 24168733. Retrieved 9 April 2015. ^ Slutske WS (2005-03-01). "ALcohol use disorders among us college students and their non–college-attending peers". Archives of General Psychiatry. 62 (3): 321–327. doi: 10.1001/archpsyc.62.3.321. ISSN 0003-990X. PMID 15753245. ^ Wechsler, H; Dowdall, G W; Davenport, A; Castillo, S (1995). "Correlates of college student binge drinking". American Journal of Public Health. 85 (7): 921–926. doi: 10.2105/ajph.85.7.921. PMC 1615519. PMID 7604914. ^ Naimi, Timothy (October 2009). "Driving After Binge Drinking". American Journal of Preventive Medicine. 37 (4): 314–320. doi: 10.1016/j.amepre.2009.06.013. PMID 19765503. Retrieved 16 April 2015. ^ Wechsler, Henry; Dowdall, George W.; Davenport, Andrea; Rimm, Eric B. (July 1995). "A gender-specific measure of binge drinking among college students". American Journal of Public Health. 85 (7): 982–985. doi: 10.2105/AJPH.85.7.982. ^ Stade, Brenda C; Bailey, Carol; Dzendoletas, Darlene; Sgro, Michael; Dowswell, Therese; Bennett, Daniel (2009-04-15). "Psychological and/or educational interventions for reducing alcohol consumption in pregnant women and women planning pregnancy". Cochrane Database of Systematic Reviews (2): CD004228. doi: 10.1002/14651858.cd004228.pub2. PMC 4164939. PMID 19370597. Tan, Andy Soon Leong (2012). "Through the Drinking Glass: an Analysis of the Cultural Meanings of College Drinking". Journal of Youth Studies. 15 (1): 119–142. doi: 10.1080/13676261.2011.630997.